If you are looking for short term rentals in the Greater Toronto Area or specifically in Toronto, you have come to the right place. Whether you’re looking to stay for a few week or a few months Mary-am Suites can find you the perfect place for your short term stay. All our furnished rentals are located in close proximity to public transport making it easy for you to commute and explore. Whether you are here for corporate or business reasons or just visiting Toronto, we can ensure that all your needs are met. We offer a variety of furnished apartments for long and short term rentals in downtown Toronto. Guests will enjoy the hustle and bustle of the downtown core and its diverse communities, including the Financial District, Distillery District and Yorkville. Our strategically located furnished rentals are close to conveniences including: grocery stores, shopping malls and movie theaters. Medical institutions like Toronto Grace Hospital, Toronto General, Sick Kids, Mount Sinai and Princess Margaret Hospital are in the vicinity of our furnished apartments. Guests can commute using the TTC subway, busses and GO transit which are located just around the corner. Our furnished apartments have easy access to the PATH walkway system for easily navigating through the financial core. Properties are also in close proximity to landmark sites, major attractions and sporting events, which are perfect for weekend excursions. From the CN Tower, Yonge-Dundas Square and Rogers Centre, guests can enjoy a wide variety of local attractions. Our guest services team is happy to provide you with information, recommendations and directions to particular sites. Modern contemporary design meets heritage architecture at this elegant condo on the site of the historic James Cooper House. Located at Bloor and Sherbourne, it’s accessible via the Don Valley Parkway and Sherbourne subway station. Explore Toronto’s nearby premier attractions: the Toronto Eaton Centre, Yorkville, museums, and parks. Plus, it’s in close proximity to major hospitals and the University of Toronto. 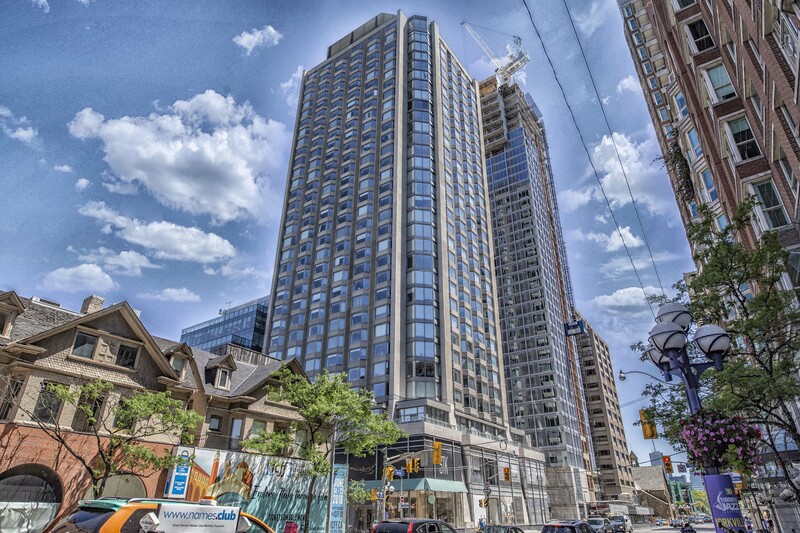 Near the intersection of Front and York Streets, Maple Leaf Condos are right at the epicentre of Toronto. Maple Leaf Square’s neighbourhood boasts the Air Canada Centre the Rogers Centre, CN Tower, Hockey Hall of Fame and Ripley’s Aquarium Canada. Remarkable restaurants, cafes and eateries surround Maple Leaf Square Condos, and great spots, Real Sports Bar & Grill and e11even, are located on the building’s second floor. 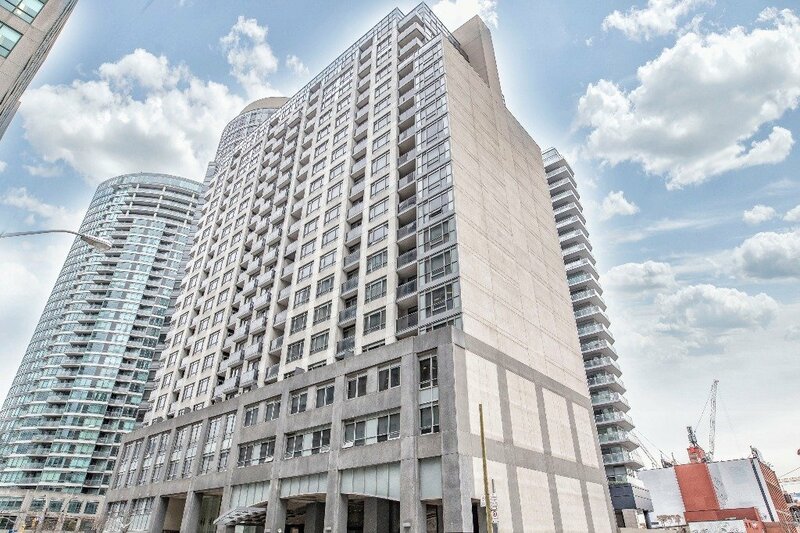 In the heart of Toronto, this complex offers a spacious and tastefully-decorated furnished suite. Located at Queen St. West and University Ave., hop on the subway at nearby Osgoode station or navigate the city via the underground PATH. 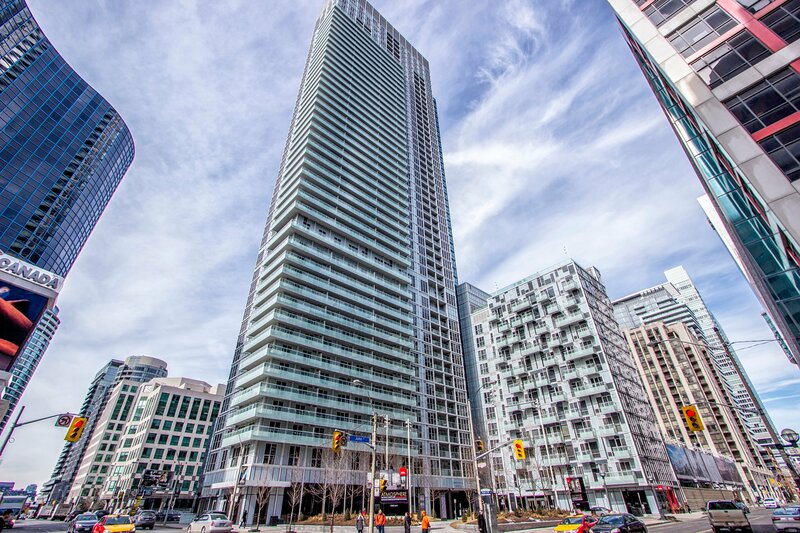 Nearby spots include the Eaton Centre, Ryerson University, University of Toronto, and City Hall, as well as Mount Sinai Hospital and the Hospital for Sick Kids. 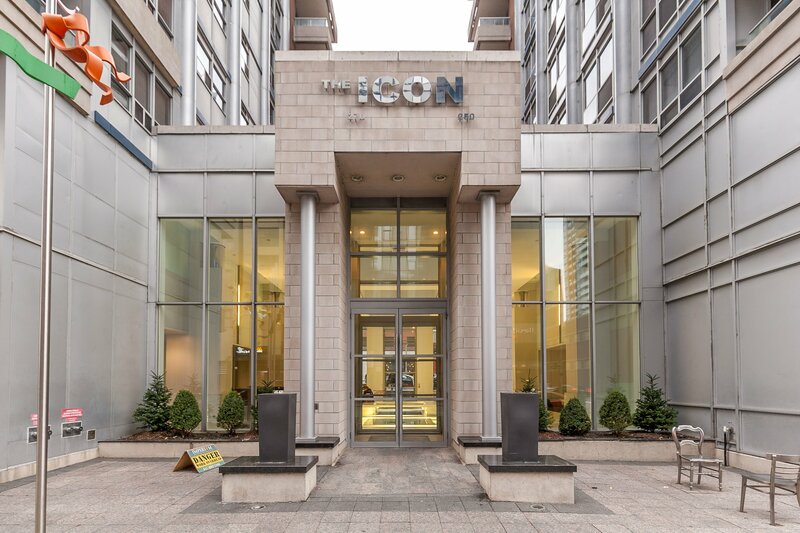 Explore Toronto’s top restaurants, shops, and attractions during an extended stay at The Icon, located at Wellington St. West and Blue Jays Way. It’s steps away from the Financial District and close to the CN Tower, Rogers Centre, the Metro Toronto Convention Centre, and more. Travel is seamless with quick access to nearby Union and St. Andrew subway stations, the Gardiner Expressway, and Billy Bishop Airport. Located at Avenue and Bloor in the vibrant Yorkville neighbourhood, this condo features finely-furnished apartment rentals. Enjoy a refined experienced surrounded by designer boutiques, fine restaurants, and other attractions including the Royal Ontario Museum, Yorkville Village, a premium shopping mall, and the University of Toronto. Access nearby Bloor-Yonge, Bay, and Museum subway stations to easily navigate the city. 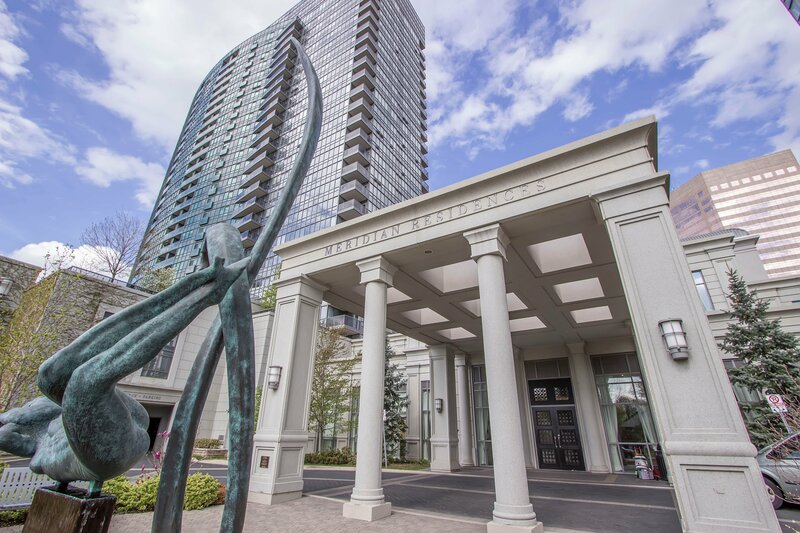 The Yorkville Residence boasts indulgent amenities in a perfectly-situated location. At the corner of Yonge and Bloor, it’s located in the distinguished Yorkville neighbourhood featuring urban parks, designer boutiques, upscale restaurants and other highlights including the Royal Ontario Museum, Bata Shoe Museum, Yorkville Village, the University of Toronto, and more. Also offers close access to Bloor-Yonge and Bay subway stations. 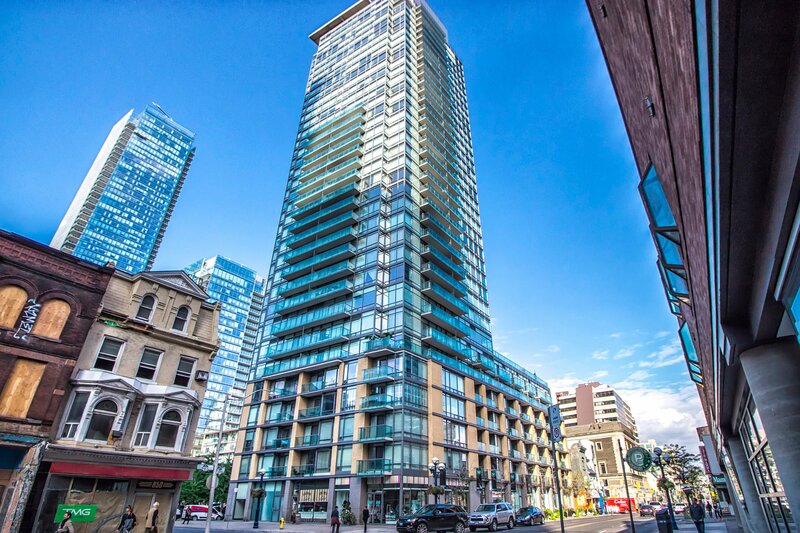 Enjoy a luxurious stay at this 49-storey tower near Front and John streets, offering opulent finishes and upscale amenities. 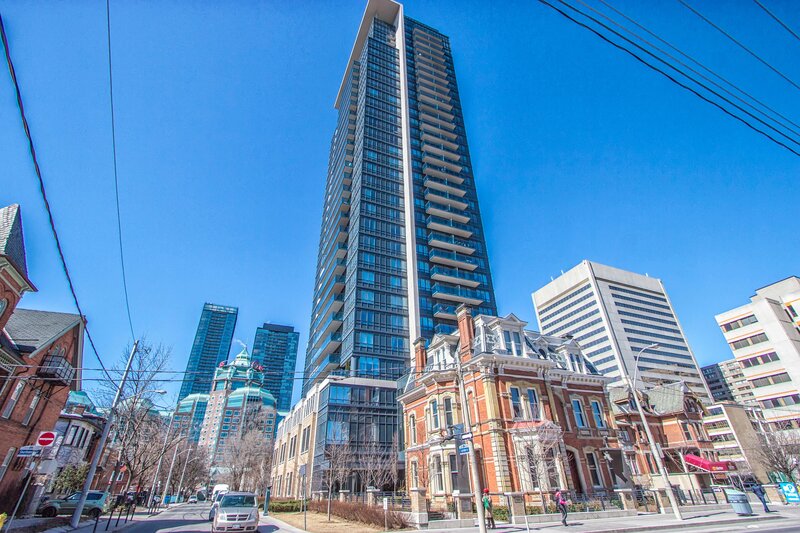 It’s steps away from the city’s Financial and Entertainment districts and surrounded by landmarks including the CN Tower and Rogers Centre. Multiple modes of transport are nearby, including St. Andrew and Union subway stations, the Gardiner Expressway, Via Rail, GO Transit, and the Billy Bishop Airport. Midtown Toronto is an upscale community situated between downtown and uptown Toronto with many young professional adults and families. You can embrace a modern lifestyle with a Mary-am Suites furnished apartment, in a trendy area comprised of many high-end residential neighbourhoods including: Rosedale, Forest Hill and Summerhill. Guests can enjoy local shopping, including major retail chains, cinemas, independent boutiques and dining options. Yonge and Eglinton forms the central neighbourhood of midtown Toronto, a busy midtown intersection surrounded with corporate offices and complete with many amenities in the RioCan Yonge Eglinton Centre. 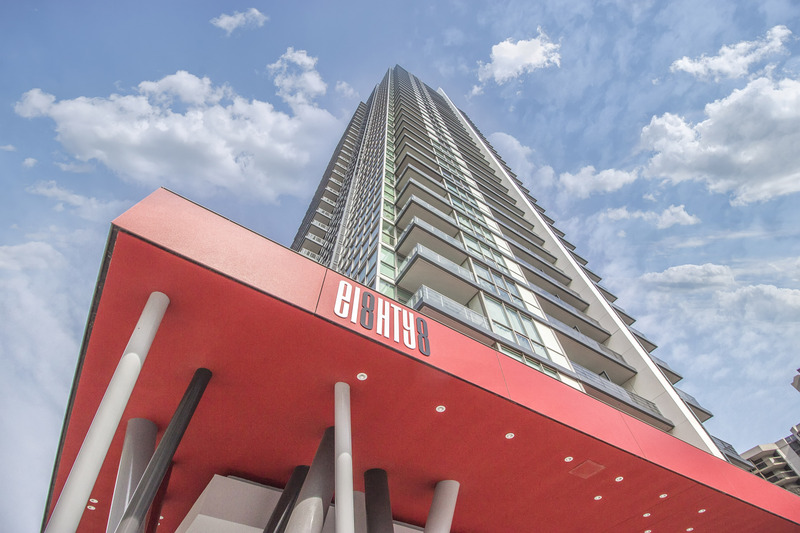 The Republic is located a short walk from the Eglinton TTC subway station, offering easy access to downtown Toronto. 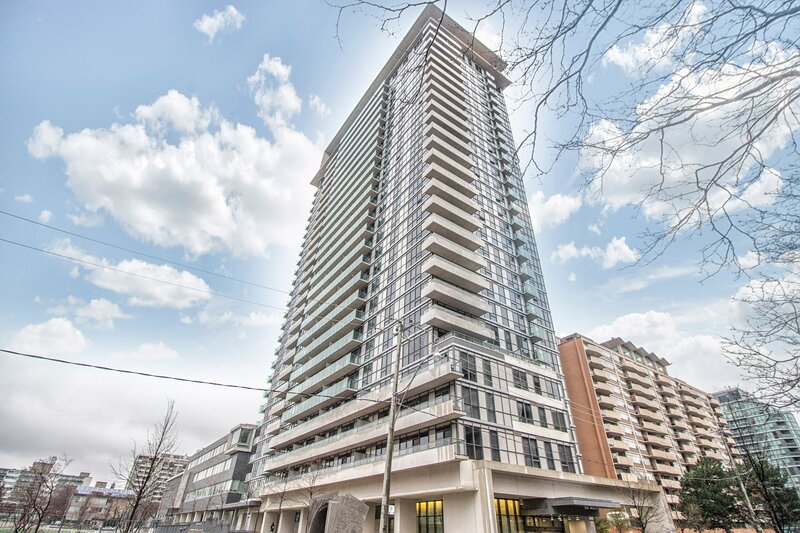 Located just northeast of Yonge and Eglinton, the Republic is a high-rise condominium situated across from the Eglinton TTC subway station and in close proximity to Highway 401 and the Don Valley Parkway. 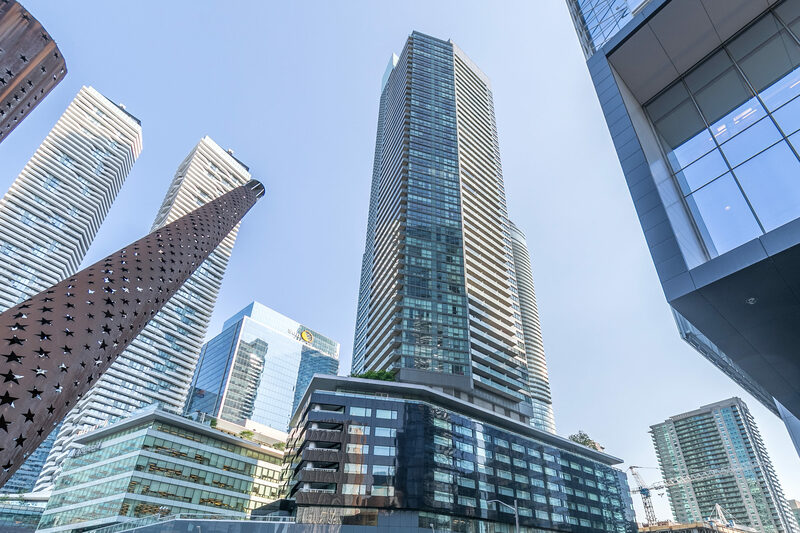 The dynamic neighbourhood surrounding the tower offers plenty of dining, entertainment and shopping options including the RioCan Yonge Eglinton Centre, restaurants and boutiques. Shops at Don Mills is located just a 15-minute drive from the Republic. 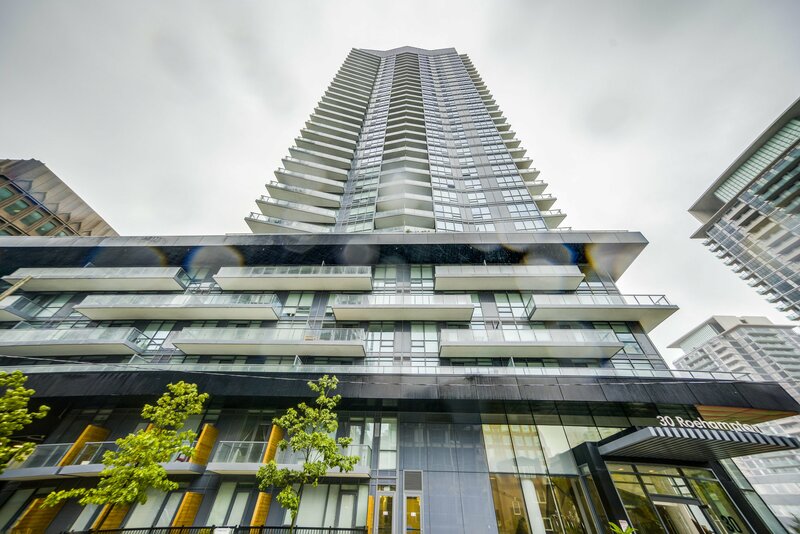 Built in 2016, this 34-storey condo offers breathtaking views from its Penthouse suites, luxurious finishes, and upscale amenities. Located just north of Yonge and Eglinton, this bustling area features pubs, coffee shops, restaurants, boutiques, in addition to the RioCan Centre. Easily navigate the city with close access to Eglinton subway station, the Don Valley Parkway, and Highway 401. Also situated close to Sunnybrook Hospital. Mary-am Suites has the largest number of furnished apartments in the following buildings: Terraces of St. Gabriel, Meridian Residences and Avonshire. Located north of Toronto, North York offers a relaxed atmosphere apart from the nearby downtown core. Furnished rentals are situated close to government buildings and business offices. Indulge at nearby shopping centres including: Bayview Village, Fairview Mall and Yonge and Sheppard Centre. Our furnished apartments are also in close proximity to grocery stores, pharmacies and health-care facilities such as North York General and Sunnybrook Hospital. Local and renowned dining and entertainment includes nearby Paisano Italian Cafe, Toronto Centre for the Arts and Mel Lastman Square. Guests can travel using the TTC subway stations and GO Transit which are just around the corner and if you are driving anyplace, highway (401) access is a 4 minutes away. 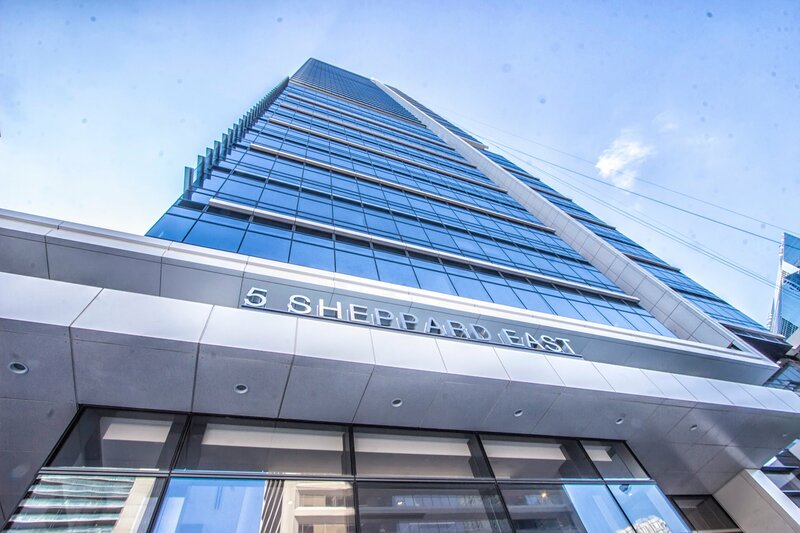 The Hullmark Centre is located in the bustling Sheppard and Yonge neighbourhood, featuring a walk score of 94 out of 100. There are many diverse restaurants to choose from, and it’s directly across the street from newly-renovated Yonge Sheppard Centre, offering plenty of dining, shopping, and entertainment options. Government and corporate offices surround the building, and North York Hospital is a short drive away. Explore surrounding areas and take a short drive to Bayview Village or Yorkdale Shopping Centre, two of the city’s top malls. It’s ideally-located near highways 400, 401, and 404, with direct access to Sheppard-Yonge subway station and GO transit. 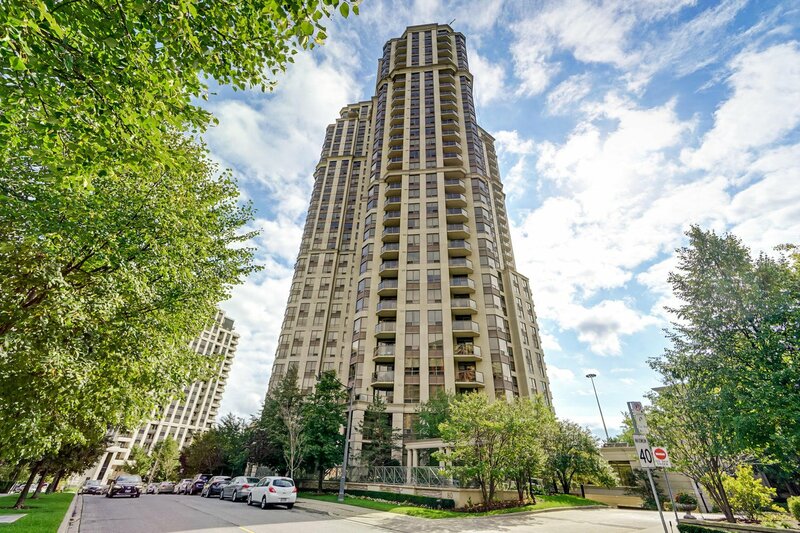 Located near Yonge Street and Sheppard Avenue, the Avondale towers are in close proximity to Highway 401, the Yonge-Sheppard TTC subway station and major bus lines. Surrounding this neighbourhood are plenty of shopping centres, restaurants and cafes. 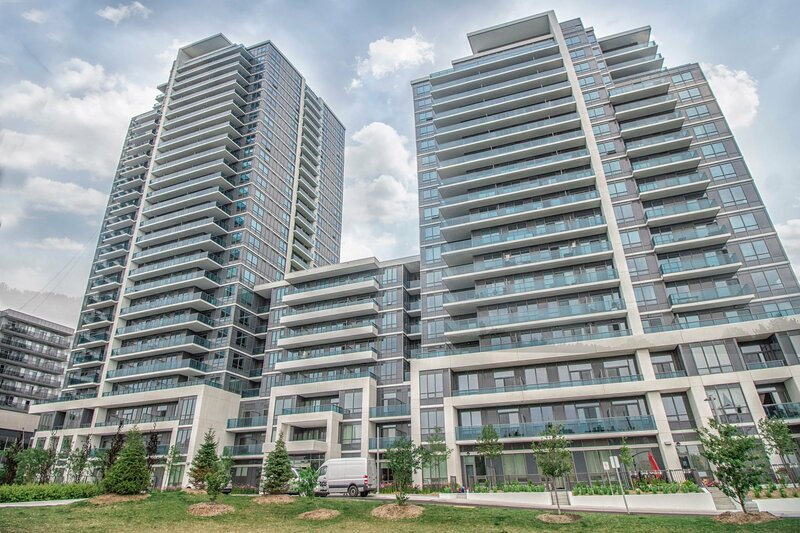 Bayview Village, a premier mall in North York, is just a 10-minute drive from these condo towers. The Meridian is located in the Yonge and Finch neighbourhood, a vibrant community featuring an array of options for both daytime and nighttime activities. With a walk score of 89 out of 100, the area’s diverse, international restaurants, supermarkets, and shops are just steps away from your door. Nearby attractions include the Toronto Centre for the Arts, and Promenade Shopping Centre and Centerpoint Mall are short drives away. York University is within driving distance and other parts of the city are accessible with close proximity to highways 401, 404, and 407. The Meridian also provides convenient access to Finch’s TTC and GO stations. 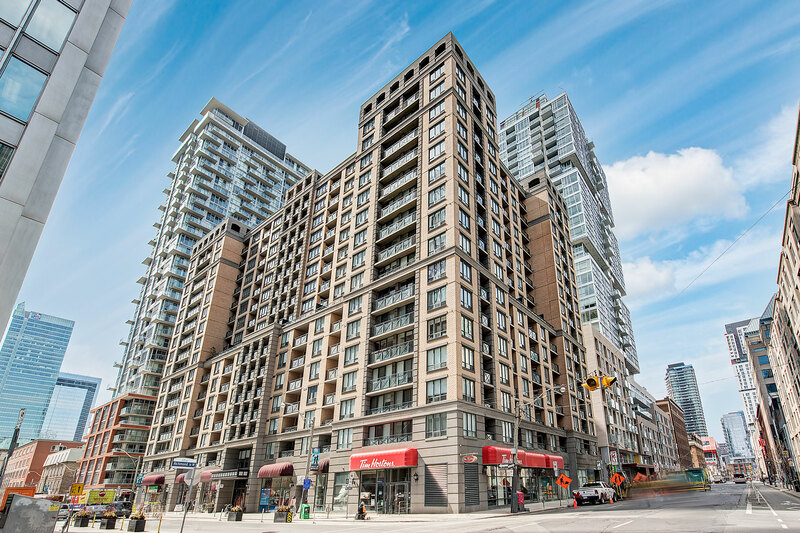 Enjoy your extended stay in a furnished apartment rental in the dynamic Sheppard and Yonge neighbourhood. With a walk score of 90 out of 100, restaurants, shops, and services are just steps away from your door. The newly-renovated Yonge Sheppard Centre, directly across the street, provides plenty of dining, shopping, and entertainment options to choose from. The area also features government and corporate offices, and North York Hospital is a short drive away. Navigate the city seamlessly by car or public transit. 88 Condo is ideally-located near highways 400, 401, and 404, and it’s steps away from Sheppard-Yonge subway station and GO bus routes. Major shopping malls Bayview Village and Yorkdale Shopping Centre are in close proximity. 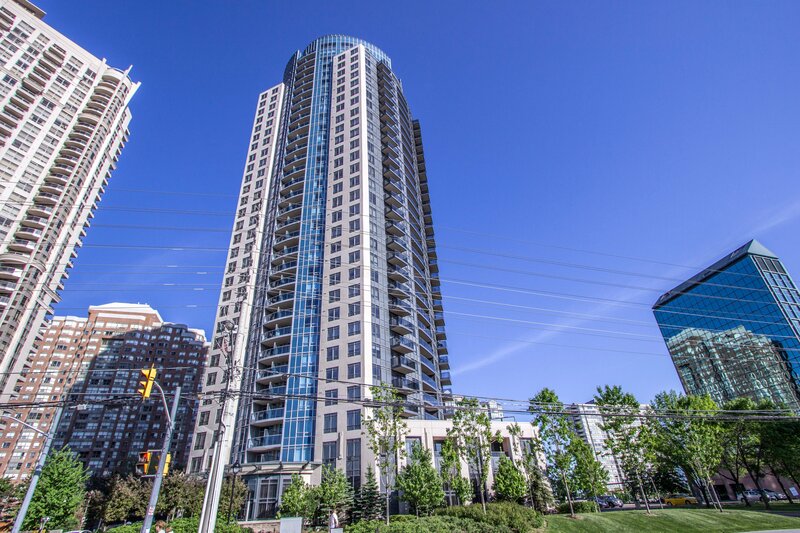 We offer furnished apartments and short term rentals at World on Yonge condo in Thornhill. Located north of the Finch subway station Thornhill has so much to offer. In addition to being a 5 minute walk to Centerpoint Mall, one of the largest shopping mall in Thornhill, our properties are all steps away from grocery stores, entertainment, restaurants and pharmacies. TTC Yonge-University subway line, Viva buses and Go transit allow guests to easily travel within the city. The Toronto Downtown is just a 20 minute drive from our furnished apartments as you have easy access to all major highways (407, 404, 400 and HWY7). Situated on Yonge St. just north of Steeles Ave., this mixed-use building features various retail stores. It’s ideally-located, with grocery stores, restaurants, and pharmacies nearby. Plan a shopping trip to nearby Centerpoint Mall or Promenade Shopping Centre. World on Yonge is in close proximity to highways 7, 400, 404, and 407. It’s also easy to explore other areas of the city via public transportation with access to the Yonge-University subway line via Finch station. Additionally, Viva and GO buses are available closeby. World on Yonge is also within driving distance to York University. We provide furnished apartments and short term rentals in Markham, Ontario. Situated in the Greater Toronto Area, Markham is Canada’s most ethnically diverse community. Distinct neighborhoods include Unionville Village, Markham Village and Thornhill Village. Guests can enjoy nearby restaurants, shopping, grocery stores and entertainment options during their stay. There are also many ongoing festivals and events which take place in Markham throughout the year. Embrace the city’s culture with a visit to places like Pacific Mall, Markham Museum and Varley Art Gallery. Convenient commuting options include YRT and VIVA bus lines, GO transit and TTC. Highways 404, 7, 37 and the 407 ETR are all easily accessible from any location in Markham, with Pearson International Airport on an average 25 minutes away. Guests can also easily commute to downtown Toronto using the TTC subway lines.There are several Medical institutions include Markham Stouffville Hospital and other walk in clinics in the Markham region . Contact our guest services team for further information, recommendations and directions to specific sites. The Circa in Markham is ideally-situated and there is plenty to do during an extended stay. This region of the GTA offers a variety of retailers, diverse restaurants, and shopping plazas. There are also plenty of entertainment options and numerous parks to visit. Take a trip to historic Main Street in Unionville or Pacific Mall, both just a five-minute drive away. The area also includes corporate offices as well as Markham Stouffville Hospital. It’s easy to navigate to other areas of Toronto by public transit or car. Offers quick access to various local transit systems, including the YRT, Viva bus line, and GO transit. Highways 7, 404, and 407 are also nearby. We offer furnished apartments and short term rentals at Grand Ovation at City Centre in Mississauga, Ontario. Located in the western part of the Greater Toronto Area on the shores of Lake Ontario, Mississauga has many amenities and conveniences. 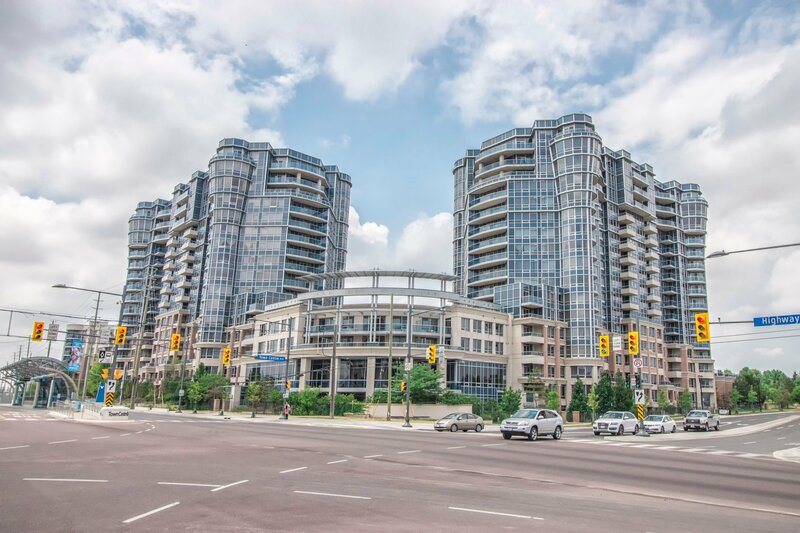 In addition to being a 5 minute walk to Square One, the largest shopping mall in Mississauga, our properties are in across the street from the City Hall, the Living Arts Centre, Celebration Square (where they hold event almost every weekend) and multiple movie theaters. The local transit system MiWay, located steps away from the property, allows guests to easily travel within the city. The Go bus terminal which is located opposite to Square One mall allows you to travel in to the city at your convenience. The Toronto Pearson International Airport is just a 15 minute drive from our furnished apartments as you have easy access to all major highways (403, 401, 407 and QEW). Nam sagittis justo elit, eu venenatis sem ornare ac. Nulla magna tortor, iaculis ac leo ut, luctus facilisis lacus. Cras tincidunt odio turpis, sit amet placerat ex gravida a. Fusce gravida ut ligula ut vestibulum. Praesent felis quam, pharetra eget facilisis ut, tincidunt eu sem. Morbi sit amet lectus viverra, molestie leo eu, porttitor massa.